Life is hard in Barrow, Alaska. Football mom Cathy Parker first caught a glimpse of this far-away reality from the comfort of her Jacksonville, Florida, living room while watching a 2006 ESPN report on the Barrow Whalers, a high school football team consisting mostly of Alaskan Inupiat Eskimo natives playing in the most difficult of conditions and trying to overcome the most unlikely of odds. These players-raised in the northernmost town in the United States, where drug abuse is rampant and the high school dropout rate is high-found themselves playing on a gravel field, using flour to draw the lines. And while the community of Barrow felt a strong pride for their boys, many felt football was not worth the investment. That is, until Cathy Parker became involved. Overcome by a surprising stirring in her soul to reach out and help, Cathy was determined to build a suitable field for the Barrow Whalers. Not fully understanding the many obstacles, both financially and logistically, that would line the path ahead, Cathy charged forward with a determined spirit and a heart for both the football team and the greater community of Barrow. She spearheaded a campaign that raised more than half-a-million dollars through people all around the country rallying around one common goal: changing the lives of young men through football. 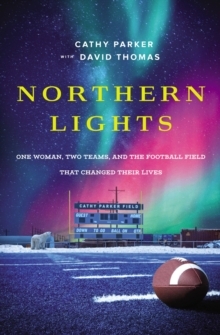 This is not just the story of how the Barrow Whalers became the first high school above the Arctic Circle to have a football program. This is the story of how we are sometimes called to the most unlikely of causes and to believe in something a little bit bigger, changing our own lives and the lives of others for the better in the most unexpected of ways.